Versatile ex-Purpler’s early noughties sets, plus live cuts. 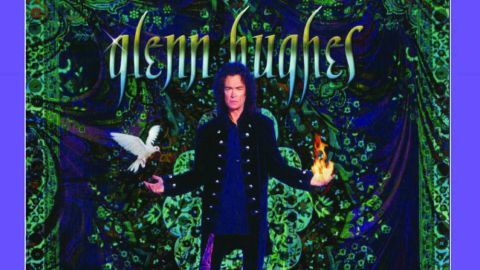 The title of ‘hardest working man in rock’n’roll’ is a hotly contested one, but Glenn Hughes is at the head of the pack in the Seniors section. The former Trapeze and Deep Purple bassist/vocalist, one-time KLF guest vocalist and now, once again, Black Country Communion frontman has rarely been busier. And his reissued back catalogue is currently doing even more profile-pumping. These 2001 and 2003 albums rock pretty hard in remastered form, all lithe bluesy riffs and Gillan-ishhowl. Opener Inside on Building The Machine (7⁄10) is a storming funk-rock highlight, and other uptempo rockers predominate as ever, making the slow-building Feels Like Home a welcome pace-breaker. The eight-minute Written All Over Your Face performs a similarly welcome anthemic task on Songs In The Key Of Rock (7⁄10). The extras are hardly essential, but not just filler either, as live cuts like a pounding reading of the Purps’ Stormbringer, bonus tracks such as the high-octane Change (enjoyable despite the title being sung as if it’s ‘Cake!’) and interview-based liner notes from CR’s own Malcolm Dome complete two tidy packages.